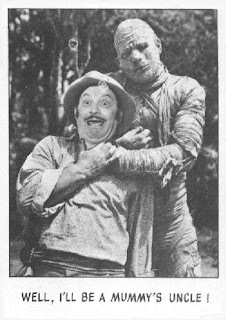 Here's a great photo of the Creature which I believe is colorized. 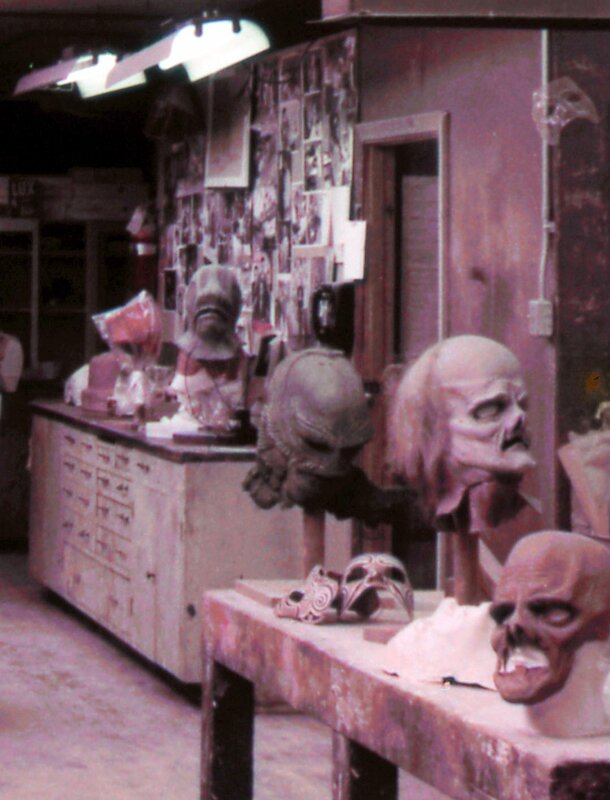 Here they are in the make-up room for "Thriller"! Dracula shows Mina around in "Dracula". Here is a great vintage photo of someone wearing a Frankenstein Mask around some ladies! 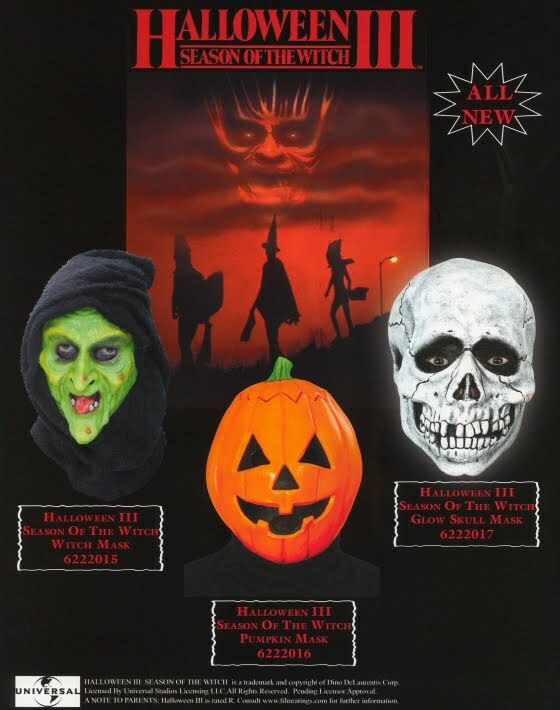 The Masks of Silver Shamrock Are Coming! These masks from "Halloween III" are going to be available this Halloween for purchase! 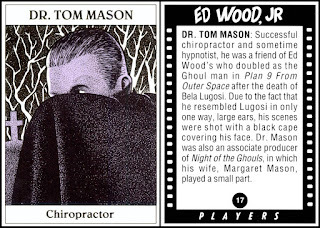 Just be careful while wearing them! 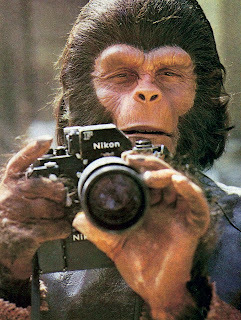 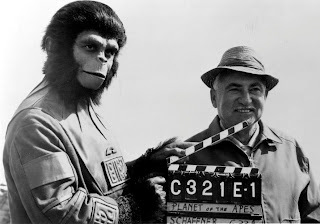 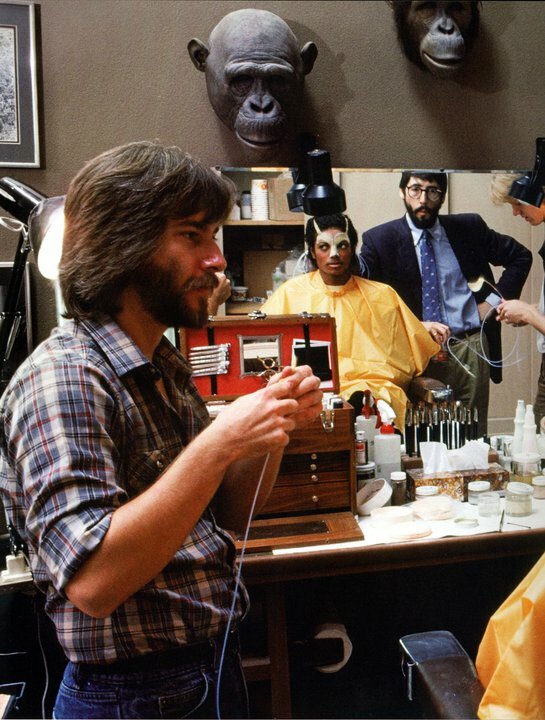 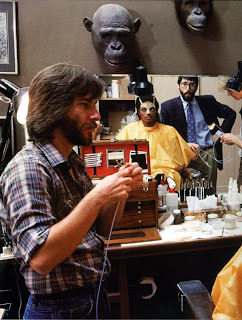 Roddy works the slate for "Planet of the Apes". 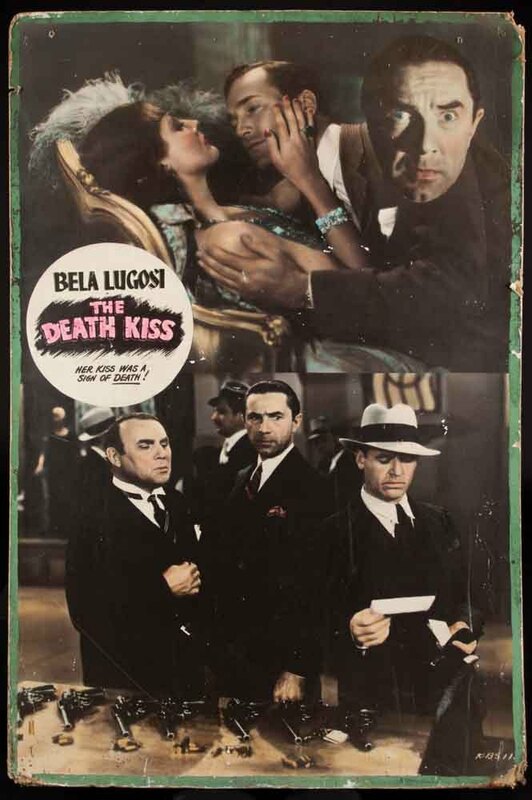 Monster Movie Posters: "The Death Kiss"
Lon Chaney plays the Opera House organ in "Phantom of the Opera". 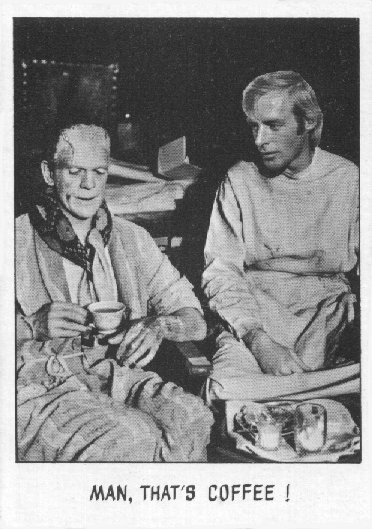 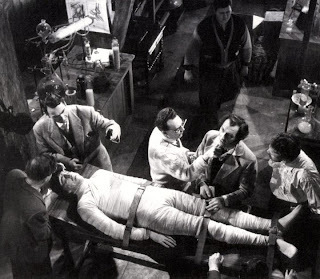 Here is a great behind the scenes shot from Hammer's "Curse of Frankenstein". 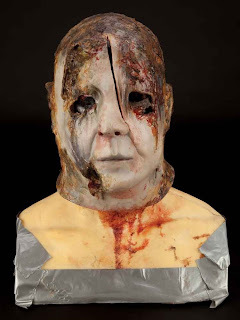 Here is mask used for the final scene of "Halloween: Resurrection". Heston slept comfortably in his chamber for 2,000 years, but his fellow astronaut didn't sleep so well. From "Planet of the Apes". 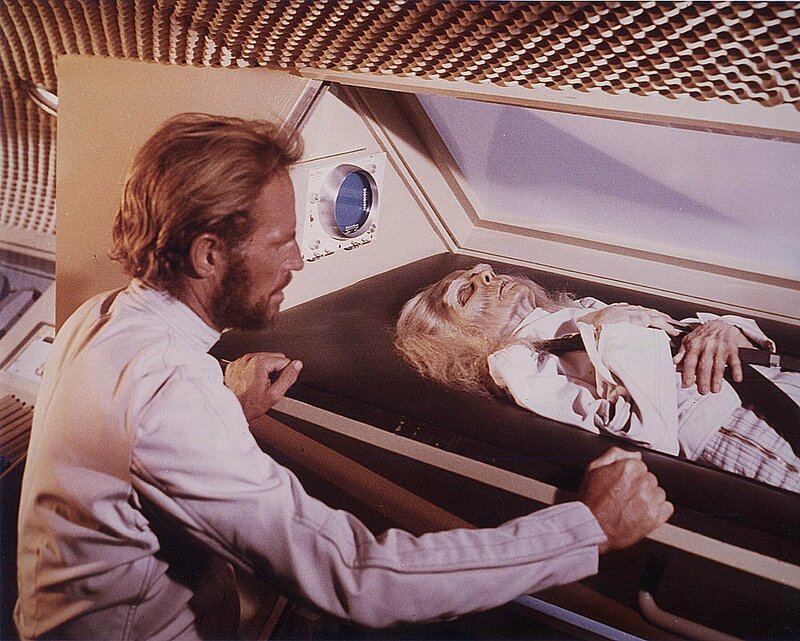 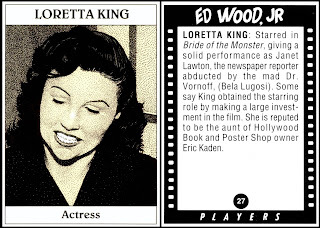 The Creature's life is being saved by these fine scientists in "Creature Walks Among Us". 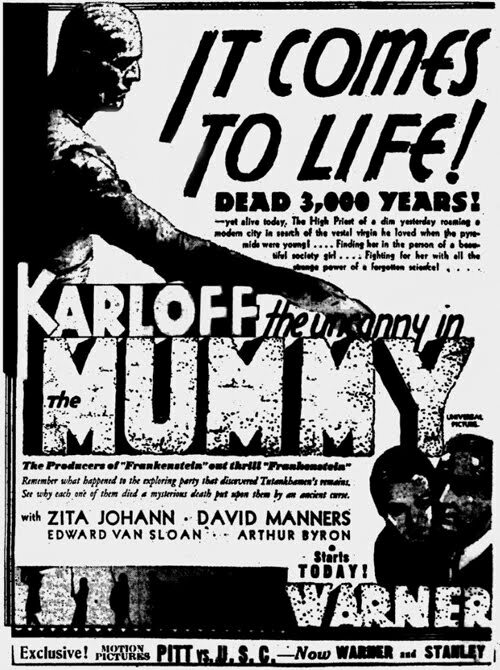 A great ad for a great movie! 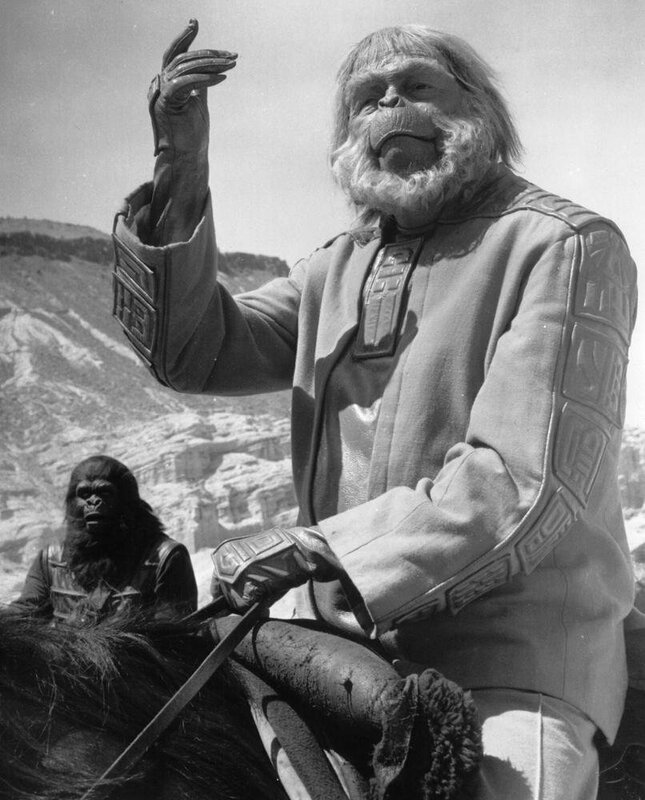 It's Dr. Zauis from "Planet of the Apes"! 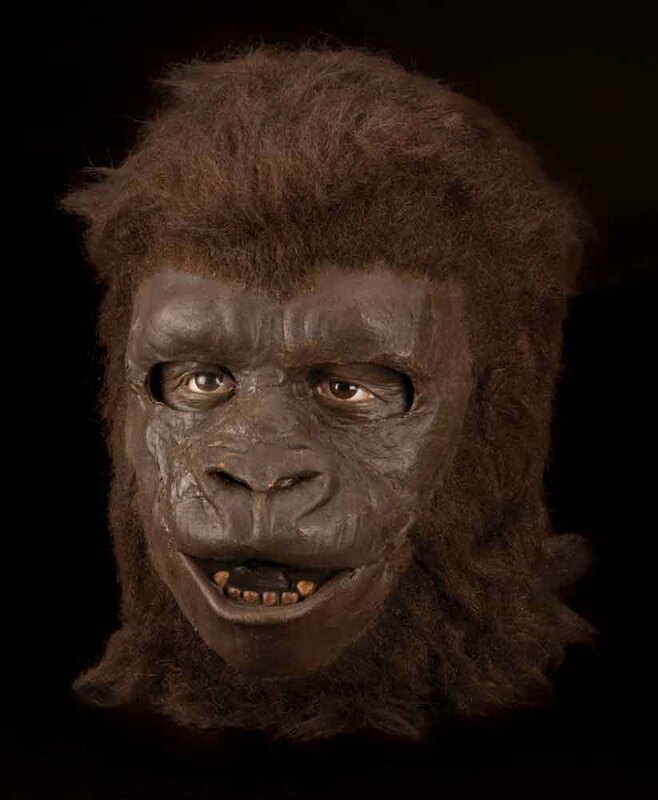 Here is one of the gorilla masks from "Planet of the Apes". 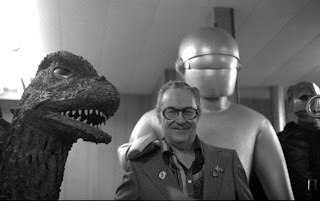 It's Forry with Godzilla and Gort! 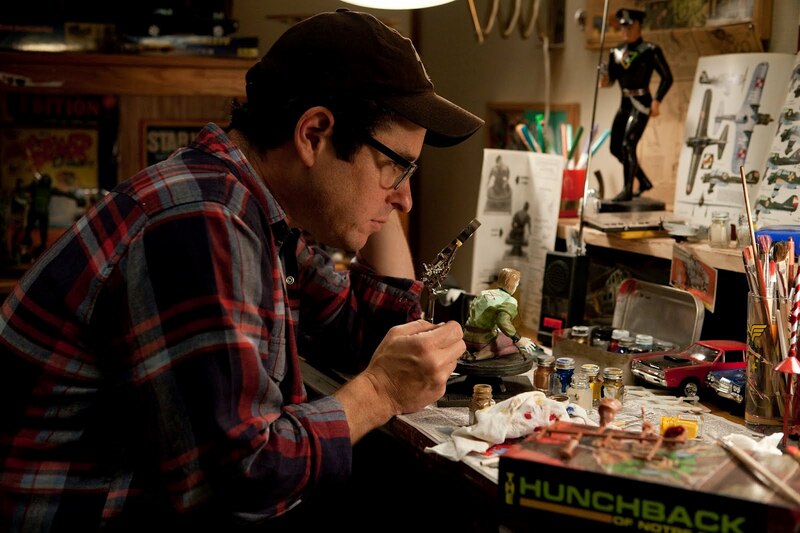 JJ Abrams adds a few touches to the Aurora Hunchback model featured in "Super 8". 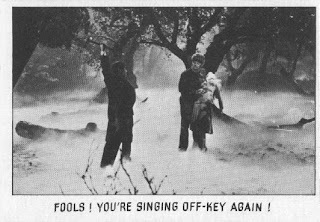 A classic scene from "Revenge of the Creature". 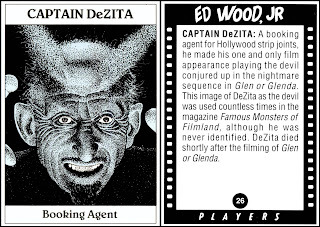 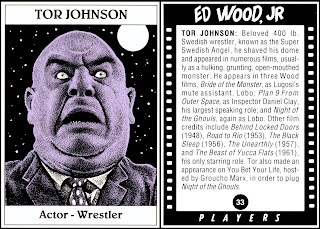 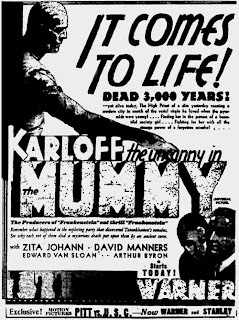 Nominated for a Rondo Award! 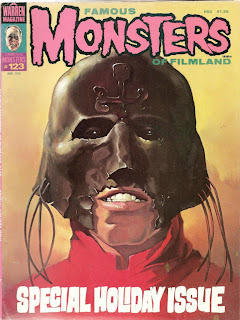 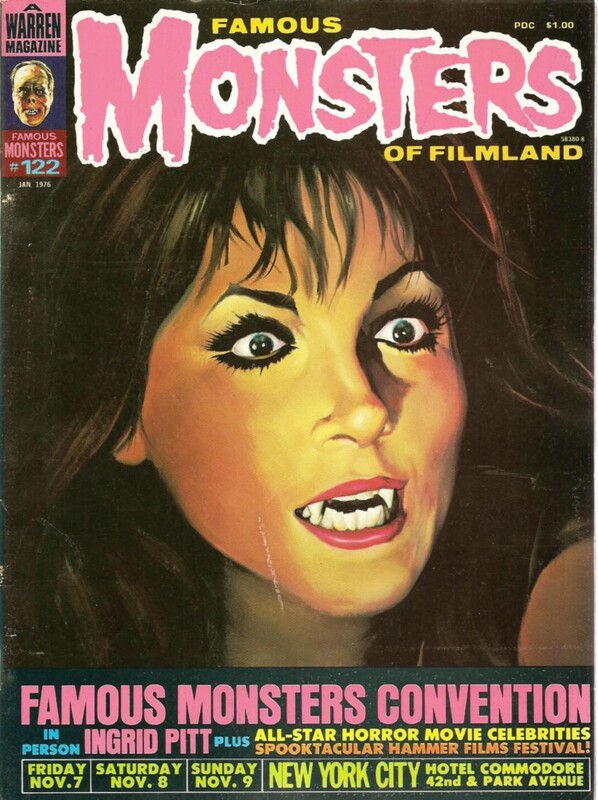 Your favorite Monster Blog has been nominated for a Rondo Award! 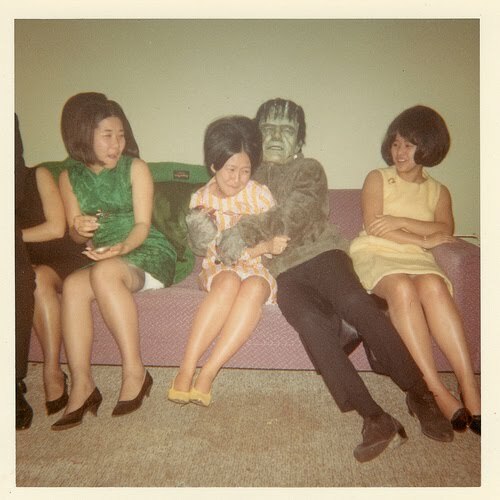 Thank you and have a Monster-filled Valentine's Day! 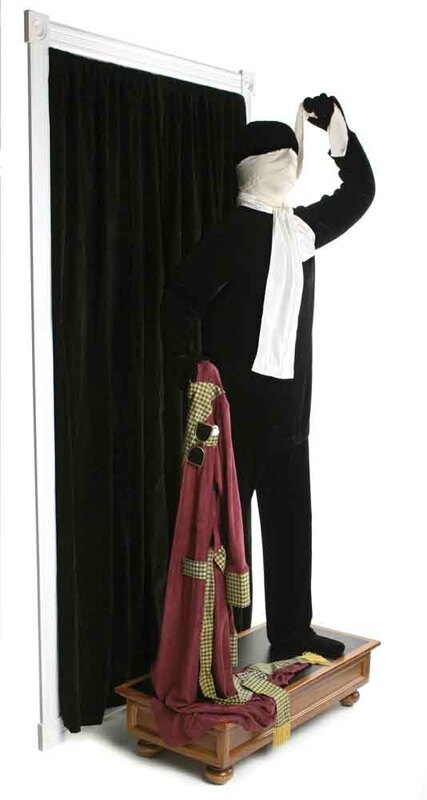 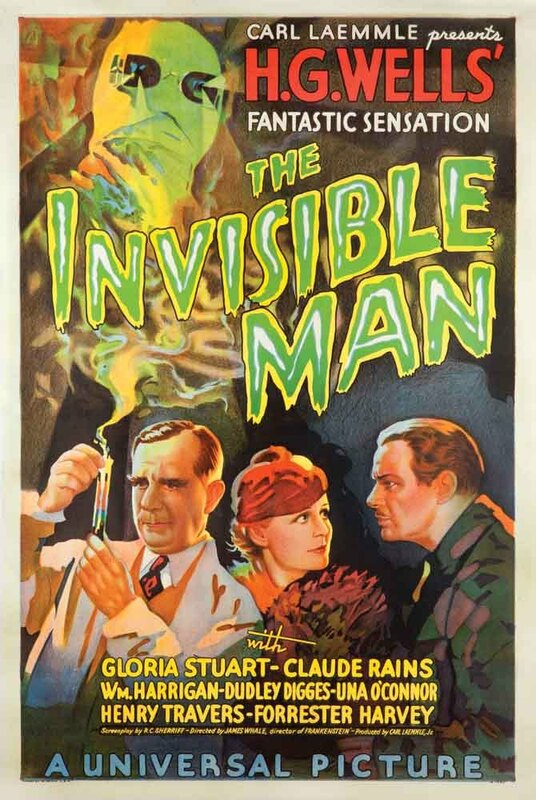 Profiles in History recently had up for auction the black velvet suit that Claude Rains wore in "The Invisible Man". Claude wore this suit so John Fulton (The Special Effects Supervisor) could work his magic! My Lily Forver! If you know who the artist is, please let me know. 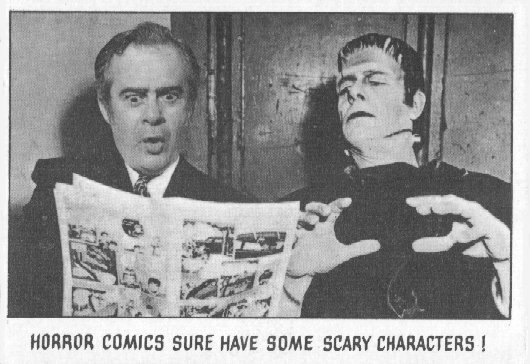 How many monsters do you see? 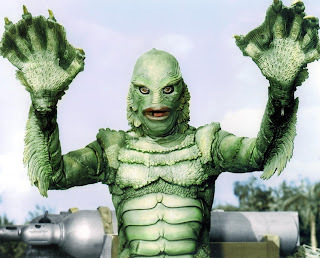 The Creature is unnoticed as he tries to climb aboard the Rita in "Creature From the Black Lagoon". 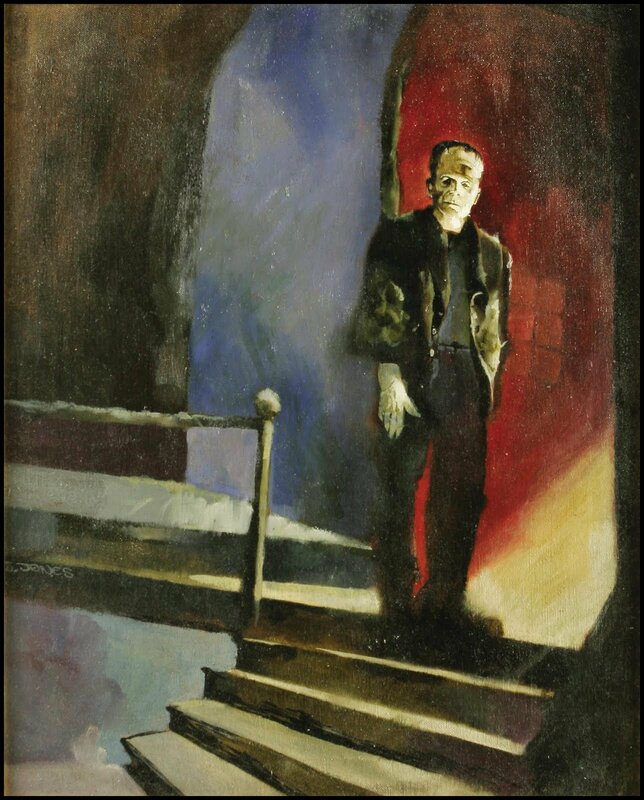 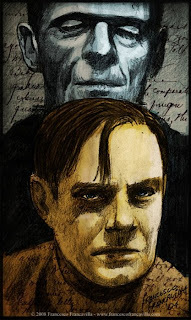 Here is a great painting of the Monster and his Creator from "Frankenstein". 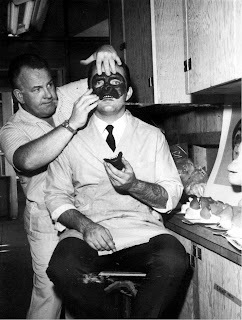 John Chambers tests his award winning make-up for "Planet of the Apes". 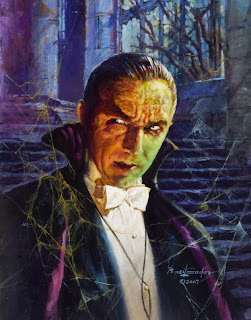 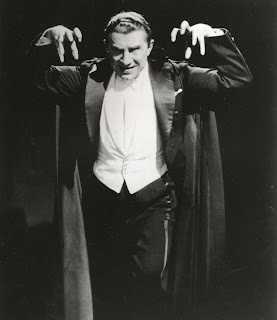 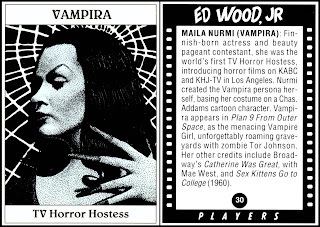 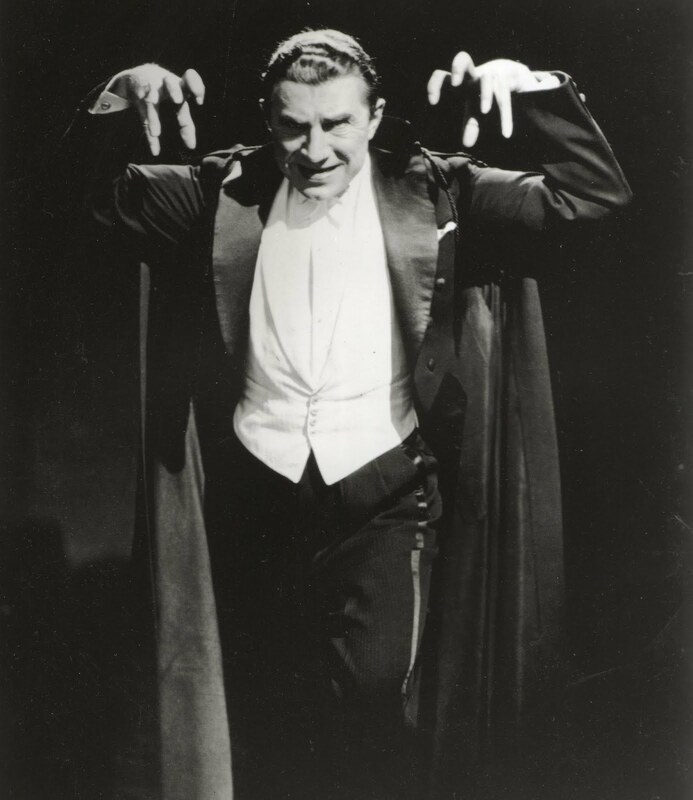 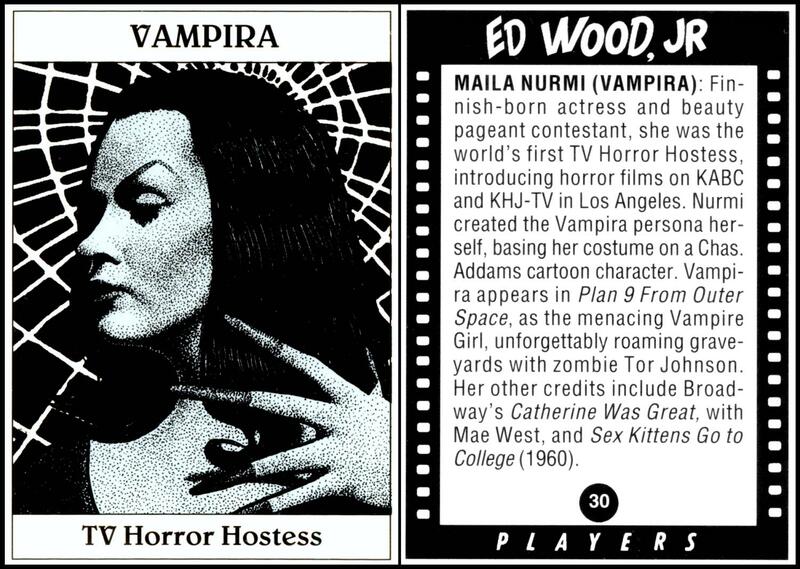 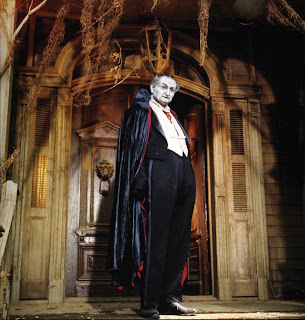 ...Dracula can even hypnotize Lou Costello! 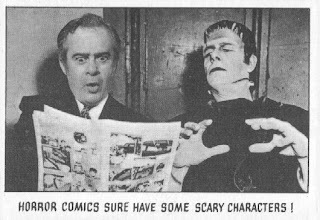 From "Abbott and Costello Meet Frankenstein". If anyone knows who the artist is, please let me know. Thanks! 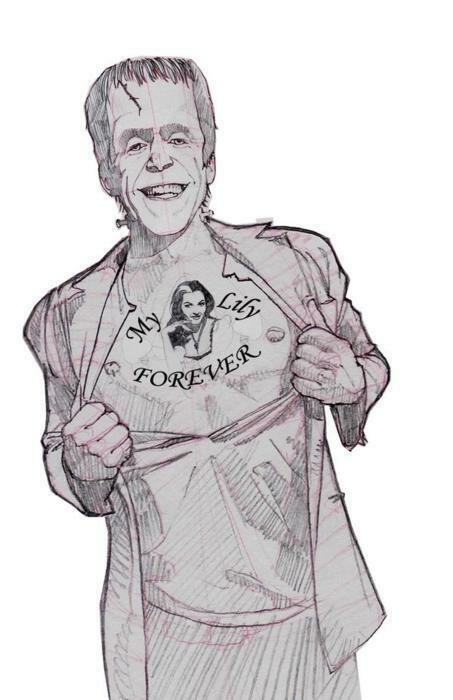 Update: The artist of this wonderful piece is Jeff Jones! 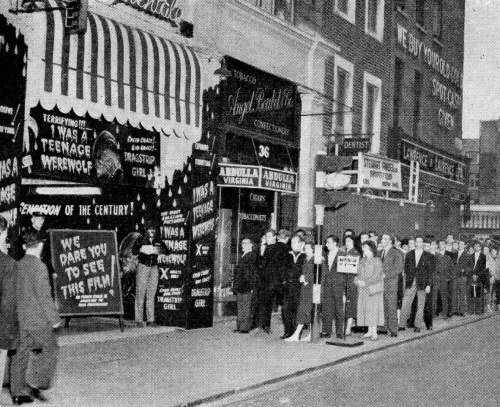 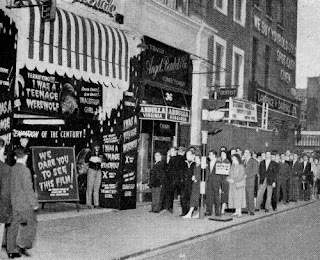 People line up to see "I Was a Teenage Werewolf". 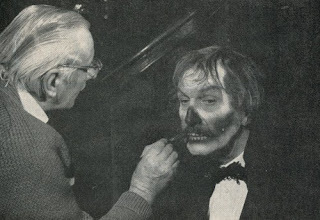 The Wolf Man attacks Dr. Edelman in "House of Dracula". 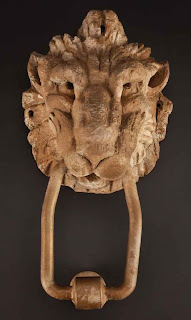 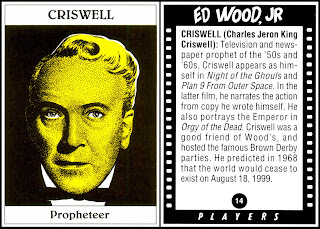 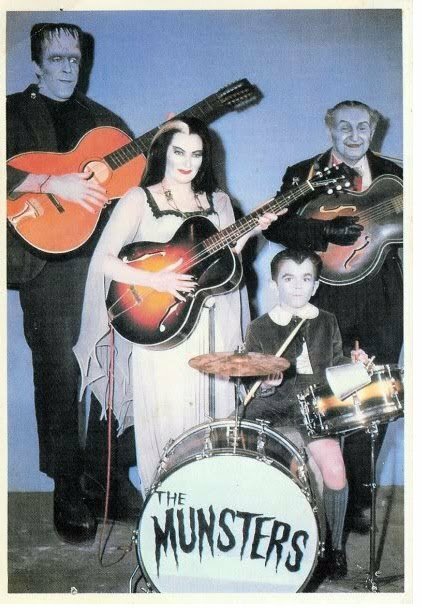 If you are a fan of "The Munsters", then you should recognize this prop! Vincent Price gets a touch up on his make-up for "Madhouse".